 Log In needed $448,900 · SPACIOUS FAMILY HOME WITH 1 BEDROOM SUITE IN LAKE COWICHAN ! 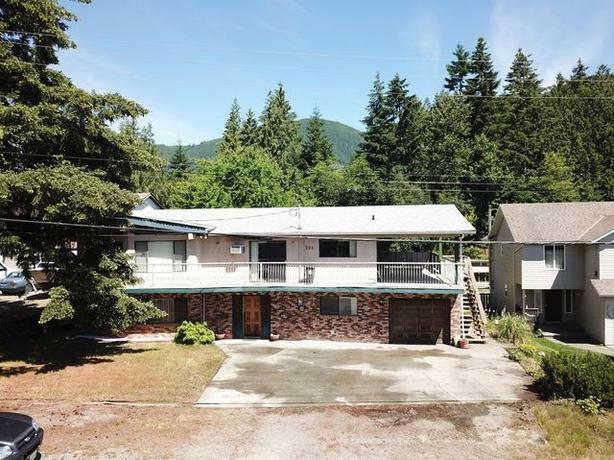 Very spacious 4 bedroom, 2.5 bath, 3,396 sqft family home with 1 bedroom in-law suite on a flat 0.32 acre lot enjoys views of the surrounding mountains in beautiful Lake Cowichan. Very functional main floor plan has a large kitchen with access to the partially covered deck, separate dining room & spacious living room with vaulted ceiling & wood burning fireplace. There are 3 bedrooms on the main floor including the master with cheater ensuite featuring a jetted tub. Downstairs there is plenty of space with a huge family room, craft room, laundry room, 2 piece bath & a finished office space in the garage. The suite is quite large, has it's own entrance & could easily be reconfigured to make 2 bedrooms. The roof is only about 3 years old, much of the main floor has just been repainted, & the large lot is perfect for kids & pets. Enjoy the spectacular lake and river, pubs, restaurants, shopping, arena, new ball fields & endless recreation the Cowichan Lake area offers! More photos to see at my WEBSITE www.MikeEddyForYou.com under MY LISTINGS page.